Less known than Milford Sound, one of the most iconic landscapes in New Zealand, Doubtful Sound was ranking very high on my list and, together with Abel Tasman National Park, wild and remote Northland and the flight from lake Tekapo over the mountains and glaciers, it ended up being one of the highlights of my journey in the Land of the Hobbits. Albeit more expensive, the 2-days boat cruise along the fjord, surrounded by towering peaks and immersed in a wild and untamed landscape was worth every penny and if you have to choose, I highly recommend Doubtful Sound over Milford Sound. This latter is awesome but crowded and the boat ride quite short, and if you’ve come all the way from Europe or America you’ll want to spend as much time as possible in this gorgeous area. 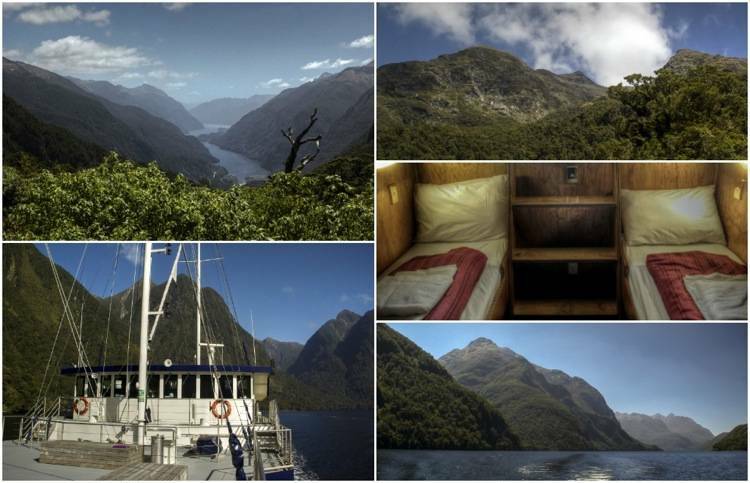 Sailing Doubtful Sound is indeed the highlight but the entire scenic journey is one of those experiences hard to forget. There’s no direct access to the fjord, and the trip is long and involves alternating drives and boat rides amidst a wonderful scenery. Manapouri is where the ‘journey to the end of the world’ starts. Even the ones who get there with their own cars must leave their vehicles and embark in ad adventure reserved to only a limited number of people. After the clouds and the mist that surrounded Milford Sound only a couple of days before, I was blessed with a wonderful, sunny day. Wrapped in my windbreaker, I spent all the time of the crossing of the lake outside, admiring the enchanting landscape and taking endless pictures, in the hope that at least a few would be good enough because beating the boat’s motion was a hard task. On the opposite side of Lake Manapouri buses were waiting for us for another drive along the winding road, stopping at Wilmot Pass to let us enjoy the breathtaking view over Doubtful Sound before reaching Deep Cove, the final embarking point. As I stepped into to boat I felt a little weird. I’m mostly an incorrigible independent traveler and always feel suspicious towards anything organized. Furthermore, of all possible travel styles, cruising was always the least appealing. Despite my mental resistance, I was soon pleasantly surprised: the cabin was small but cosy, the boat big enough to avoid overcrowded watching spots and there was a very interesting commentary on the fjord’s geology and wildlife. The boat soon left its mooring and started sliding on the calm water, slowly navigating the 40 km to the ocean. 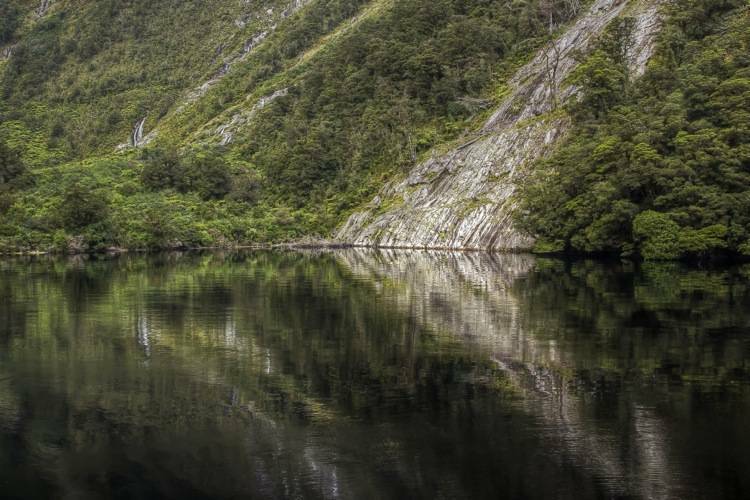 Surrounded by the green peaks abruptly descending in the water, lulled by the sound of the many waterfalls, captivated by the grandeur of such an unspoiled wilderness I came to understand why Doubtful Sound is nicknamed ‘The Sound of Silence’. Wandering across the ship’s deck, it was only a matter of minutes before I felt like in a time warp. My thoughts drew back to 1770 when Captain James Cook made his first trip to New Zealand and did not dare enter Doubtful Sound because he feared he wouldn’t be able to sail back to the ocean. Not much has changed since then, and the wilderness of this area of the planet has remained largely unspoilt thanks to its isolation. The advantage of a longer sailing, compared to the Milford Sound excursion, meant that there was time to stop at isolated coves for some kayaking or wildlife observation, enjoying one of the most stunning scenery in the world at a slow pace. 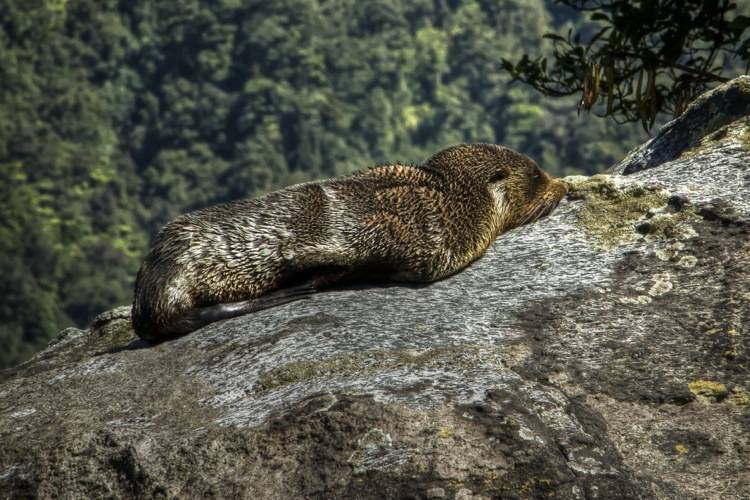 As the boat approached the open sea, the water became dotted by small emerging rocks inhabited by the local fur seals. The wind became stronger and the sight of the moving waves, covering and uncovering the rocks, was mesmerizing and somehow hypnotic. Sunset went by quickly and after dinner and a good night of sleep immersed in a perfect silence, I woke up to admire the sunrise and its awesome colours. Short after breakfast the long journey back began. Again it was a lovely sunny day, making it harder to leave one of the wildest and most beautiful places on earth. 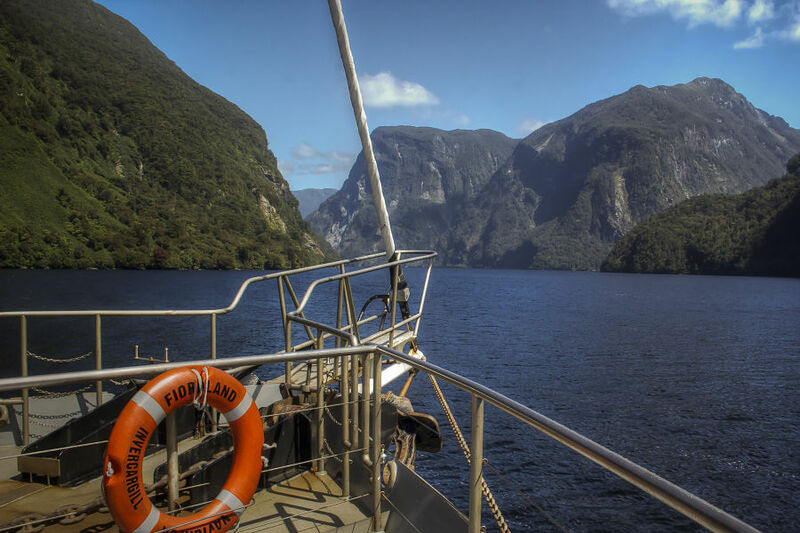 Note: Thanks to Tourism New Zealand, which was kind enough to give me an Explore NZ Card, I benefited from a substantial discount from Real Journeys on their 2-days cruise in Doubtful Sound. I’m also grateful to Stray Bus for the awesome comprehensive Stray Everywhere Pass to travel across North and South Island on their hop-on-hop-off buses. As always, opinions and feelings expressed are mine and mine only. 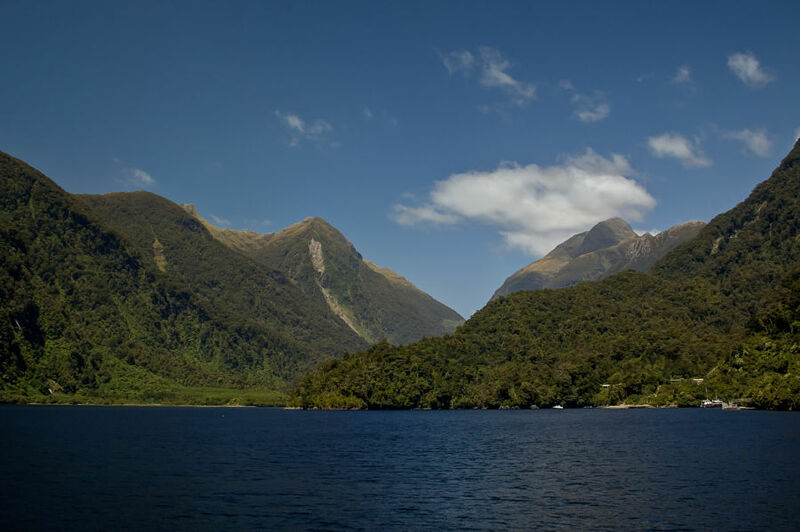 Getting there: Real Journeys, Deep Cove Charters, Fiordlands Expeditions offer 2-days overnight cruises in Doubtful Sound, with optional transfer by bus from Queenstown or Te Anau to Manapouri. It’s also possible to do one of the transfers from/to Queenstown with a scenic flight on a small airplane. 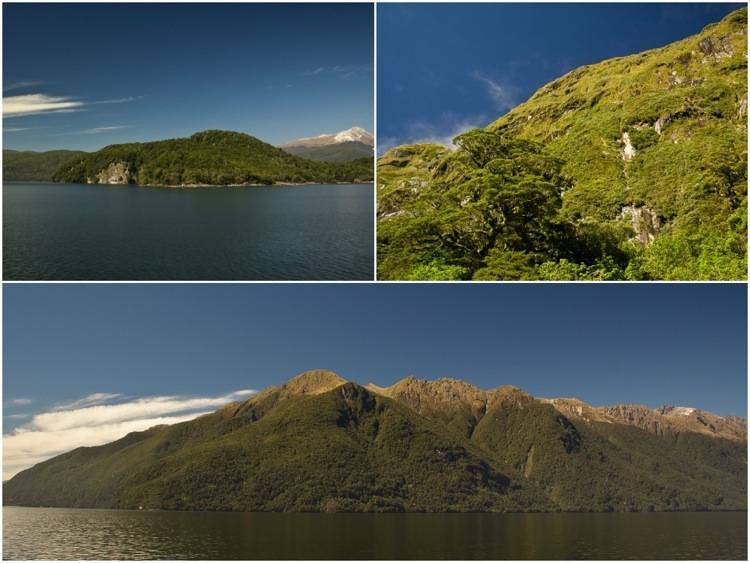 Weather and equipment: Doubtful Sound is one of the wettest areas of the world and the weather can change very quickly. Even in Summer, don’t forget to bring with you warm clothes and a rain jacket. I think my favorite spot was South Island. My wife and I had the most relaxing time there and wished we could move there permanently. Maybe some day. BTW, you take great pictures for your posts, and your theme is cool, I like the clean design. Wow! I only made it to Milford Sound when I travelled in NZ, but it looks like you can really get up close with wildlife etc. in Milford Sound. Great article and photos. New Zealand is one of my favorite countries to visit. Been there 10 times. North Island, South Island and Stewart Island are all fantastic! Beautiful country. I’ve been to NZ 10 times now. Love it! Always spectacular scenery to take in. It’s a long flight from the east coast of the US, but well worth it whether you visit the North Island, South Island or Stewart Island. Great article and photos. Thanks for sharing. Looks like an outstanding trip. It reminds me of parts of the west coast of British Columbia. Wow it looks so beautiful and completely untamed.